Aristotle said, "To give away money...is an easy matter and in any man's power, but to decide to whom to give it and how large and when, and for what purpose and how, is neither in every man's power nor an easy matter. Hence, it is that such excellence is rare, praiseworthy and noble." 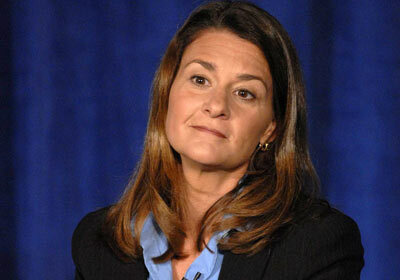 Melinda Gates described her journey as a philanthropist Monday in Seattle to an audience of 2,000 by saying that she and Bill had as many mistakes under their belts as lessons learned. She described the cornerstones in this way: look for neglected problems, travel, study, consult with experts and evaluate progress. - Make the right match. While the Foundation has studied global water issues for two years, she said they still aren't sure their skills are a match for the challenge. This despite the fact that their resources theoretically enable them to tap whatever expertise they might need. If this is true for Gates, how much more so for those with lesser funds. - Always engage business and government. She said business and government has to be involved in every solution they try. - Systems are critical. She and Bill originally believed the best way to improve public education was to work one school at a time to establish winning models. But what they found was that systems brought them down. Now they simultaneously work at the district, state and policy level.